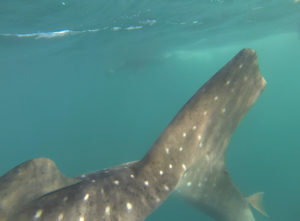 It is common knowledge that around 60% of the whale sharks in La Paz bay have visible boat-caused scarring . 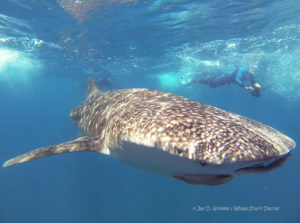 Often when new, un-scarred sharks are identified in the bay, later encounters show that some are inflicted with boat injuries within weeks or months of their arrival. 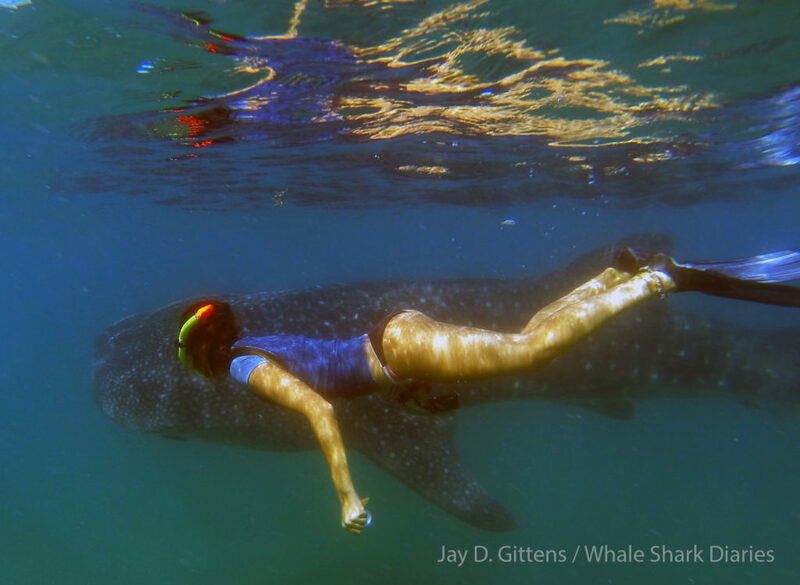 The injury analysis data, including video footage and photos, give us the opportunity to raise awareness and improve training with local whale shark tour operators. .
Price: Varies depending on length of stay. See tables. Included: Boat field trips, training, self-catering accommodation (all utility bills are paid by us. Accommodation will have WIFI internet), transportation to events related to program, community activities. Not included: Flights, travel insurance, snorkeling gear, food, additional trips. Duration: 1 – 8 weeks. Suitability: Interns need to be at least normally fit and healthy. Boat duties can be physically demanding. Also temperatures may be hot during your stay. Internship highlights: Snorkeling, freediving, whale sharks, conservation, education, cultural immersion, bottlenose dolphins, sea birds, sea lions and other marine fauna. Season: Depends on location. See tables.